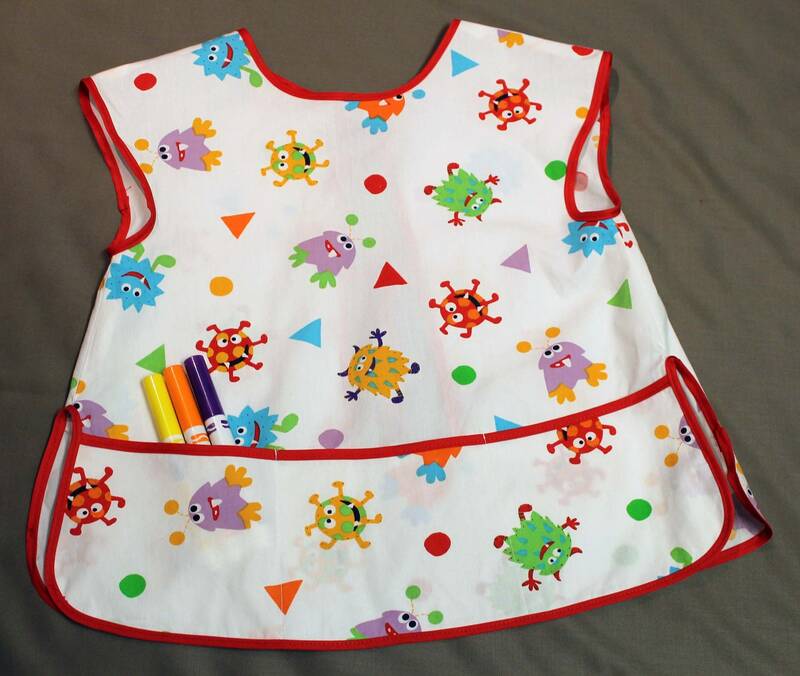 Every little child enjoys being creative and this style of apron will look perfect on any little artist. This apron is handmade from repurposed materials. 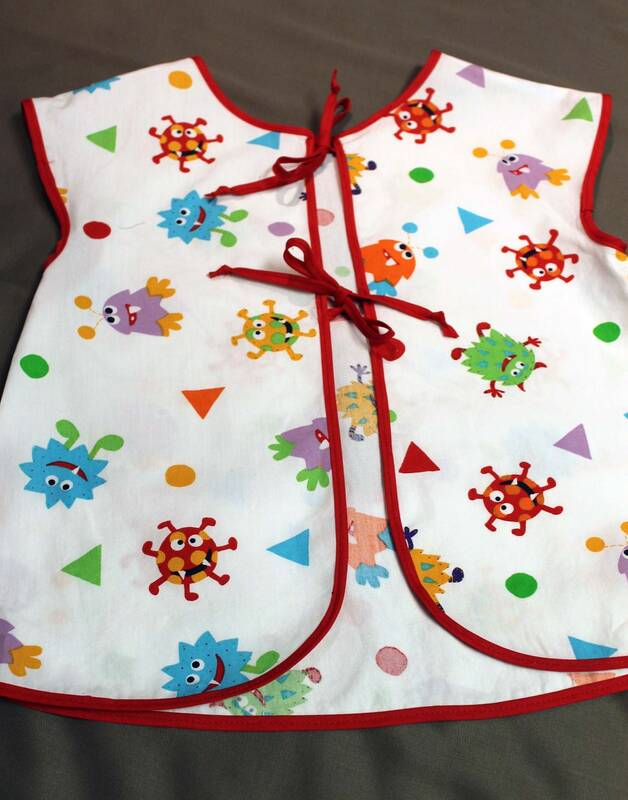 The apron is a smock style apron with ties in the back. The front offer full coverage and large pocket across the bottom. 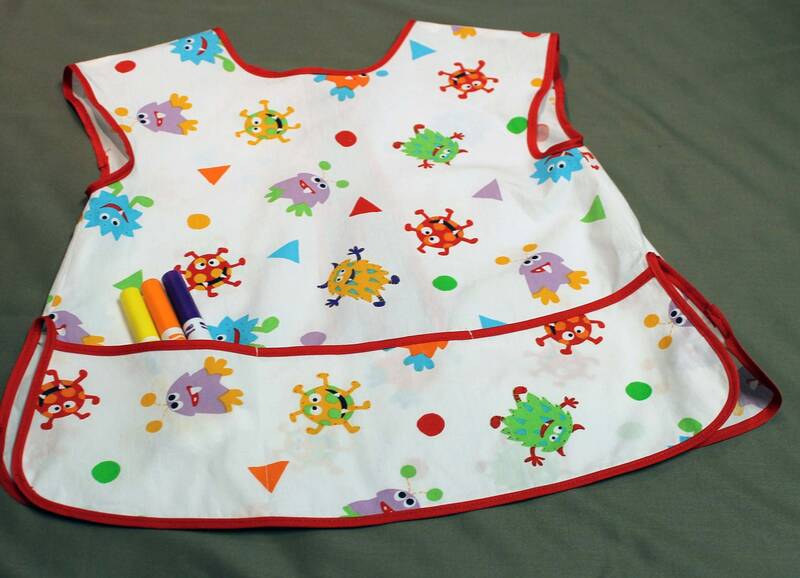 The fabric fun monster print on white, finished with red trim. This is the perfect gift for an eco-conscious parent. This apron is an eco-delight: The materials used for this apron came from a bed sheet. 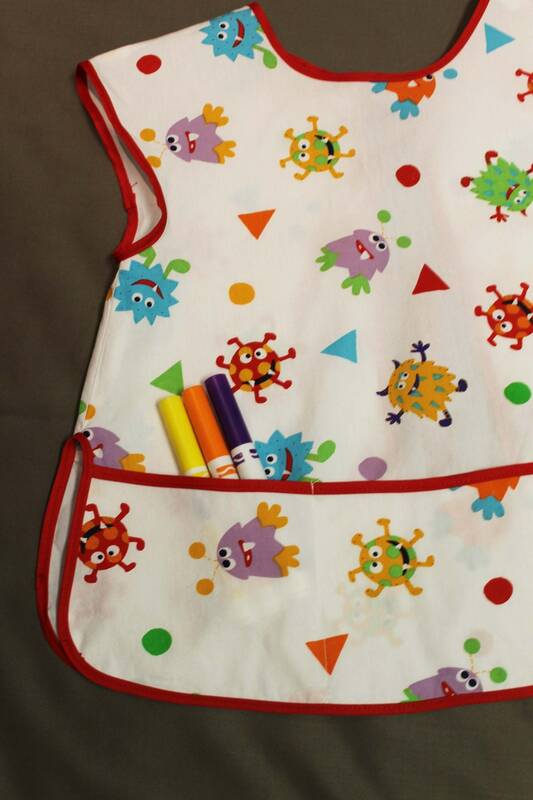 All Materials have been inspected and machine washed before sewing. At Rerun Design we take great pride in choosing to make product products from repurposed and recycled materials. We believe in making an earth-friendly footprint.